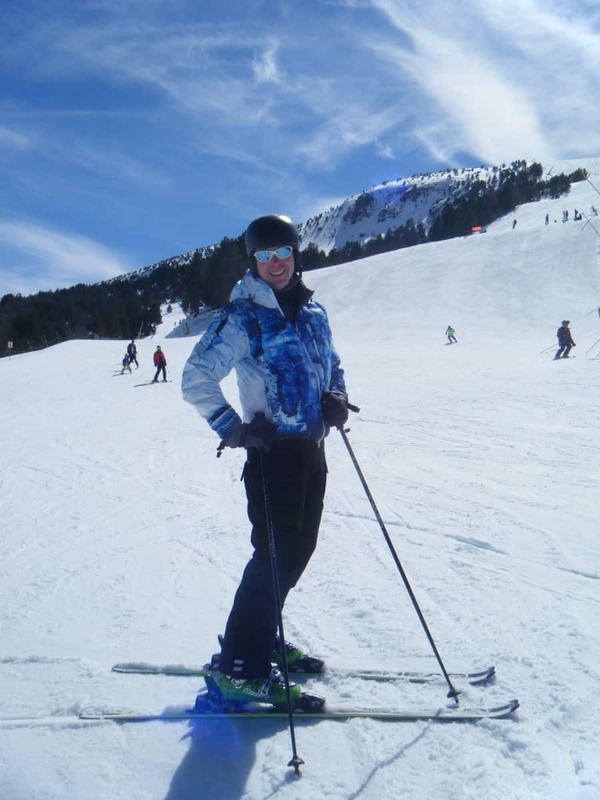 John Slack, Andorra March 2017 using Canada Goose’s Lodge Down Hoody and Tundra Down Cargo Pants. Pictured above Kenneth Slack taken in the 1930s outside 38 Rosemary Street, Mansfield. W Slack and Sons was established in 1902 by my grandfather William Slack. My father and uncle ran the business before I came along so previous to my now 30 years experience of selling outdoor equipment I was brought up within the outdoor trade. This experience enables me to decide upon which quality brands to stock. Originally the business started in the making of surgical shoes and made to measure footwear providing me with an extended knowledge of the footwear industry. 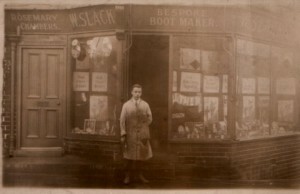 William Slack founded his business on August 26th 1902 on his nineteenth birthday. William was employed as a shoe factory hand stamper at the Mansfield Shoe Company and was considered a good worker often finding himself waiting at his machine because of slower progress upstream. As a result he was able to operate three machines simultaneously and requested a pay rise to acknowledge his extra efforts. When this request was refused he resigned. Out of work, his mother gave him 21s for his birthday, of which 12s remained after he had paid his board. With this he went to Nottingham and purchased tools and leather and started up his own business making and repairing boots and shoes and for his first job he made his mother a pair of slippers. William’s business is listed in Kelly’s Directory 1904 where he describes himself as a boot maker on Layton Avenue Mansfield. Within two years he was operating from rented premises on Queen Street Mansfield paying 5s a week rent. In 1914 William moved his business to 38 Rosemary Street, Mansfield which is where we are still based today. Two of William’s sons, Kenneth and Colin followed into the business and carried on making shoes and in the mid 1950s a customer requested a pair of hiking boots which were duly supplied and another line was added to the business. For the next thirty years the shoe making and outdoor equipment ran side by side. Both Kenneth and Colin spent their entire working lives working in the business. By the mid 1970s Kenneth had retired and Colin was in sole charge of W Slack and Sons. He built a reputation for selling quality equipment and spent his days in the shop and his evenings in the workshop making shoes and had a national reputation. Colin suffered a brain haemorrhage in 1986 whilst working in the workshop and never fully recovered. His son John, who had just turned eighteen and had only worked in the business at weekends was faced with the choice of either take over or close down. He chose to continue but without the skills or training in leatherwork he could not continue making shoes and had to develop further the outdoor equipment retail side of the business. 2002 was our centenary and we were very proud to receive a letter from the Queen to acknowledge our achievement and the business keeps growing and evolving into new markets which is one of our secrets of success. History seems to have repeated through the three generation of the Slack family who have taken the business under control and the future has yet to be decided but we hope that in another hundred years W Slack and Sons will be trading as a family business living up to our motto “Service and Satisfaction”. 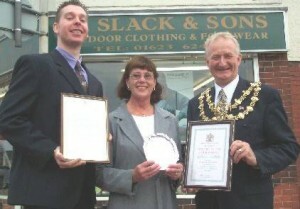 John Slack (current owner) with his mother Jacqueline Slack receiving a plaque and certificate of achievement from Mansfield District Council chairman councillor John Allin to mark centenary 2002. 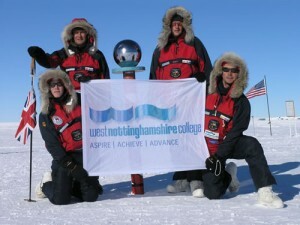 In December 2004 we were very proud to have been involved with West Nott’s College Polar Challenge in providing the team with Paramo clothing for their successful expedition to the South Pole. We helped send the youngest person ever to walk the last degree to the South Pole. 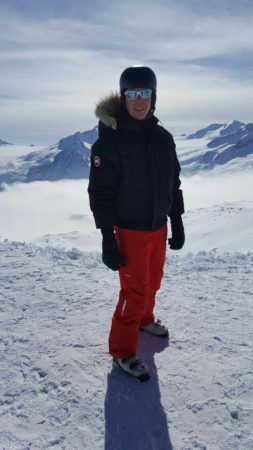 The Polar Challenge team at the South Pole wearing our Paramo clothing. 2007 we launched our first commercial website enabling customers globally to access our products. Little did we know back then just how the online experience would transform our business. At the same time we were approached by the UK distributor for Canada Goose, Woolpower & Baffin. These were exciting new brands for us which were all an instant success, particularly Canada Goose which we are now one of the their largest UK authorized stockists. We have also added another exclusive Canadian clothing brand Nobis to our extreme cold weather range. For Winter 2018 we will be stocking Parajumpers. W Slack and Sons have been a stockist of Paramo for almost 25 years, we are now proud to announce that we now operate as a “shop-in-shop” for this innovative clothing brand. We have greatly extended our Paramo range which you can view at our Mansfield store, full size ranges in all products stocked, extra styles and colours now available. 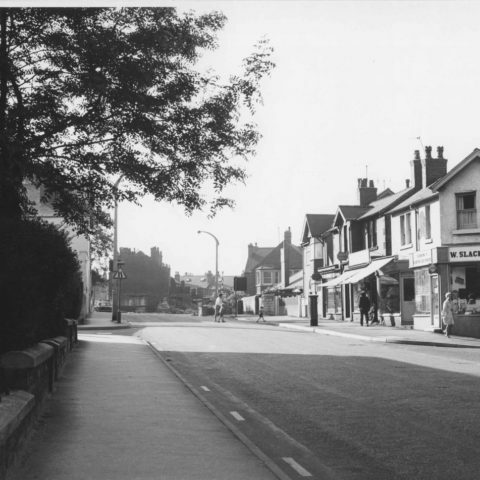 Although we have customers now all over the world, our roots are still firmly in Mansfield. Being a small family business means we can provide you with a bespoke service either online or face to face in our shop. 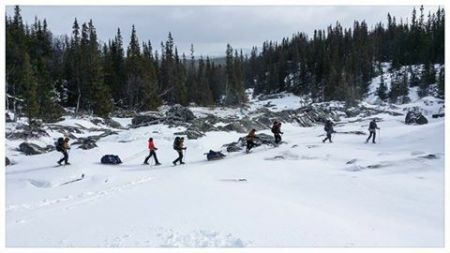 We take great pride in our product knowledge, for example we have just returned from a 5 day snowshoe camping trek in Northern Sweden which was a fabulous experience and great way to test out our outdoor skills along with products. If you are going anywhere cold you can be assured we can provide you with the correct advice and products to suit your individual needs. 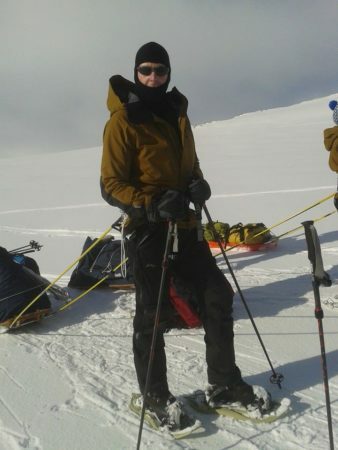 John Slack, Sweden March 2015 taking part in Jamtland Outdoor Experience which was a multi-day self supported trek involving snow shoeing and making camp in the snow. February 2018, Passo Tonale, Italy. 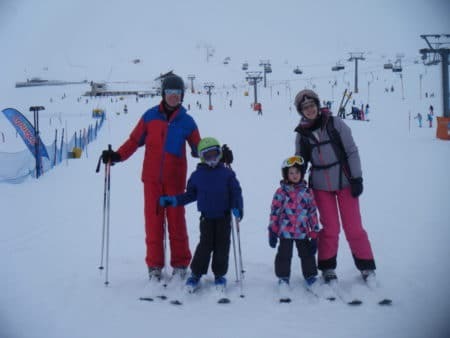 Our most recent trip to the mountains where our 4 year old daughter Katie skied for the first time and 7 year old Ben did his first red run and skied at 3000m on the Presena glacier. 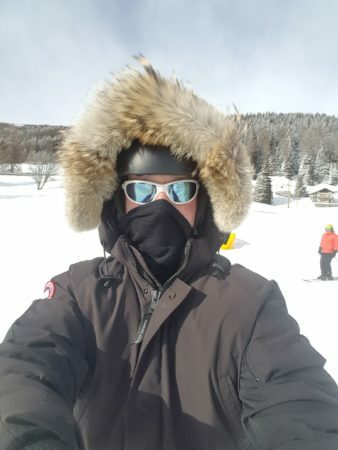 It was minus 20c during the day but our Woolpower base layers and Canada Goose jackets kept out the cold. 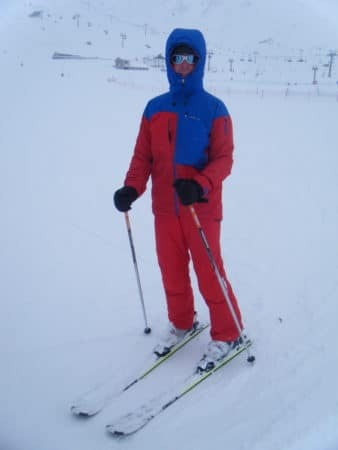 I also skied in a Paramo Enduro Jacket (pictured above) which was so comfortable to wear.